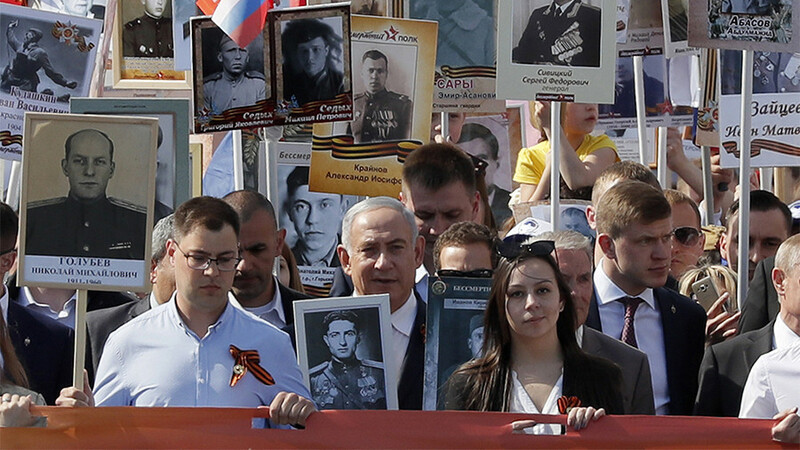 Benjamin Netanyahu joined hundreds of thousands of people in Moscow's Red Square for the Immortal Regiment march to commemorate those who fought in WWII. 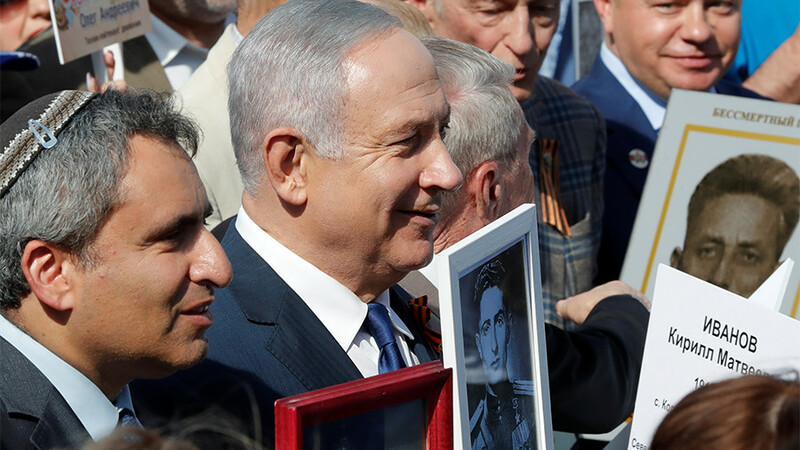 The Israeli PM carried a photo of Soviet Jewish war hero Volfas Vilenskis. 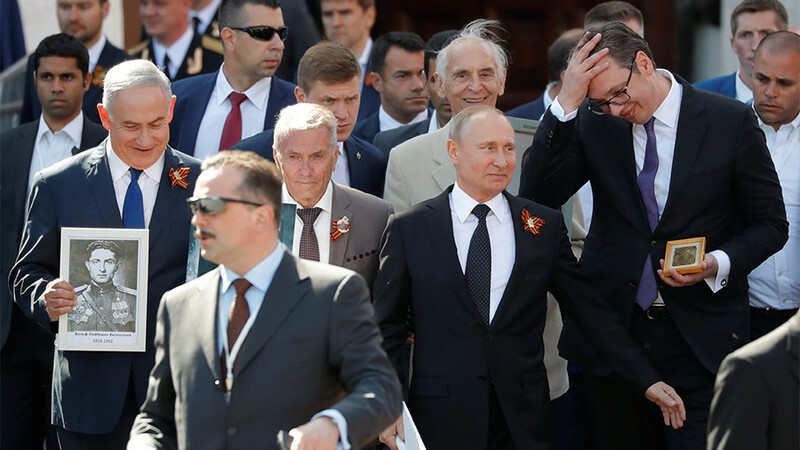 Netanyahu took part in the Victory Day parade along with Russian President Vladimir Putin and Serbian President Aleksandar Vucic. The Israeli PM wasn’t carrying a picture of any of his kin, opting for the photo of Red Army major, Volfas Vilenskis, instead. 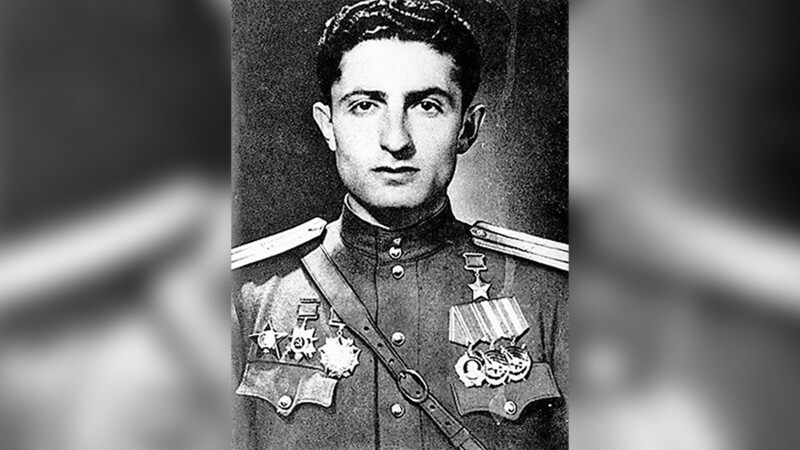 Lithuanian-born Jew Vilenskis was in command of an infantry battalion throughout the four years of the war, being awarded the Hero of Soviet Union, the highest honor in the country, for his bravery. 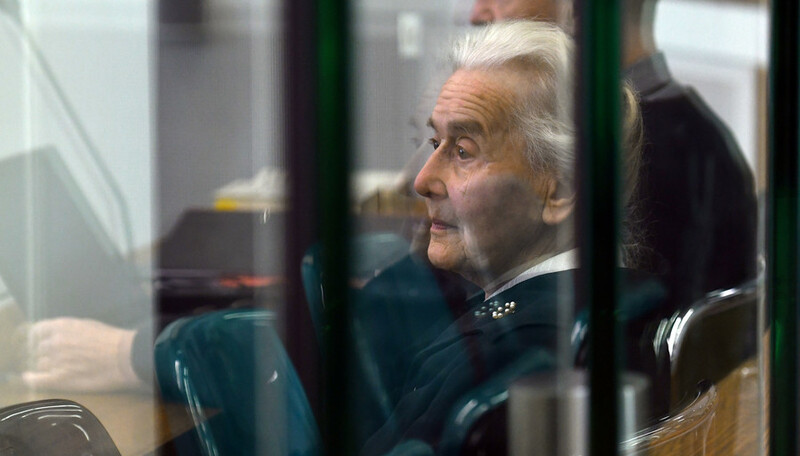 He spent the final years of his life in Israel, dying in Bat Yam in 1992 at the age of 72. 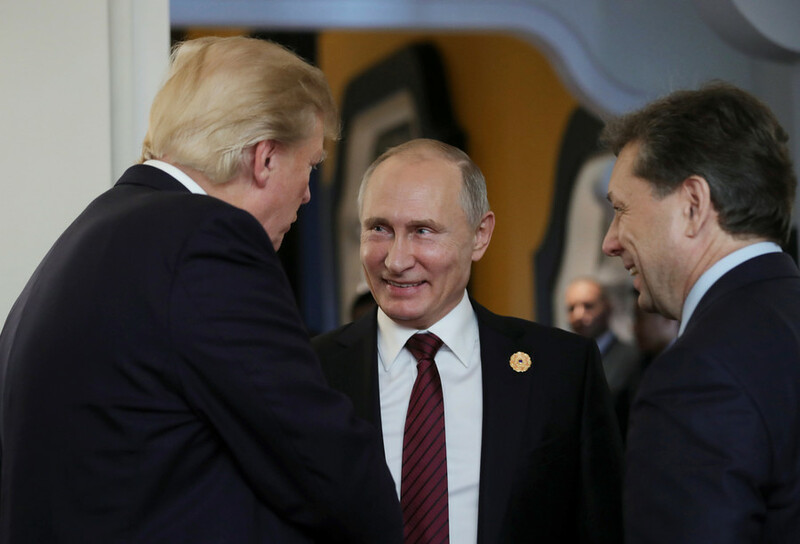 The Immortal Regiment tradition was launched in Russia seven years ago and has since been picked up internationally as millions of people across the globe march on May 8 and 9 with portraits of their relatives, who helped defeat the Nazis.